My garden is in full force this week and tomatoes have taken over the house. There are cherry tomatoes in the dehydrator, sauce cooking down in crockpots and baskets of fresh tomatoes in the back hall waiting to be processed. It's exhausting but worth it come winter. 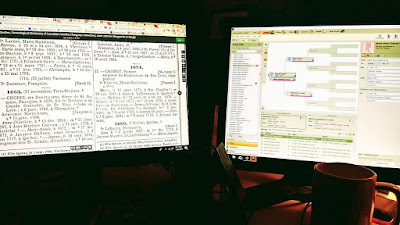 My genealogy falls to the wayside every August when tomato-nado hits but I was able to sneak in a couple of research hours early Sunday morning...my favorite time of day when the house is still and quiet. Sometimes it seems I try to reach so far back in my family tree that I miss what's right in front of me. With this is mind I've tried to refocus on my tree beginning with my paternal grandparents. There are so many missing pieces on this family branch but for now I am trying to trace their route looking for exact home locations to add to their visual story. This hasn't been as simple as I hoped... definitely a work in progress. So the story begins with Estella Giardino Rosso arriving in the US, following an almost 2 year separation from her husband. After a month long stay in the infirmary on Ellis Island, Antonio arrived to whisk them off to beautiful Victor, NY. Antonio, arriving in 1913, stayed with Estella's family in Victor until he could raise the money for his family's passage. Frank, their first son and first child born in the US, arrived during their stay in Victor. Surely outgrowing the home they shared with family, they made the eventual move to North Tonawanda, NY, my hometown. 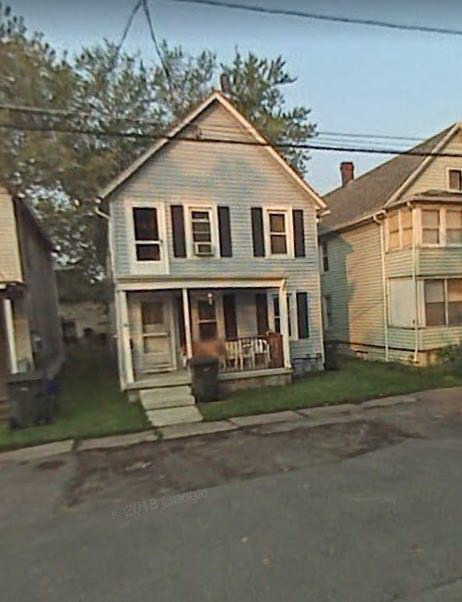 After leaving Victor, they rented the upstairs portion of a home on Carruthers Street in North Tonawanda where their daughter Jennie was born in 1917 and Dominic 18 months later. By today's standards living in this 2 bedroom upper apartment with five children under the age of 5 would be unthinkable but something tells me they felt they were doing just fine, cramped maybe, but working hard toward the American dream of owning a home. As with most families, my own has stories from the past that have carried thru time. As genealogists we might feel drawn to one over another. That is how I felt hearing the story of a bakery in Hemmingford, Quebec owned by my maternal great grandfather, Joseph Cote. I've loved to bake since i was very young. 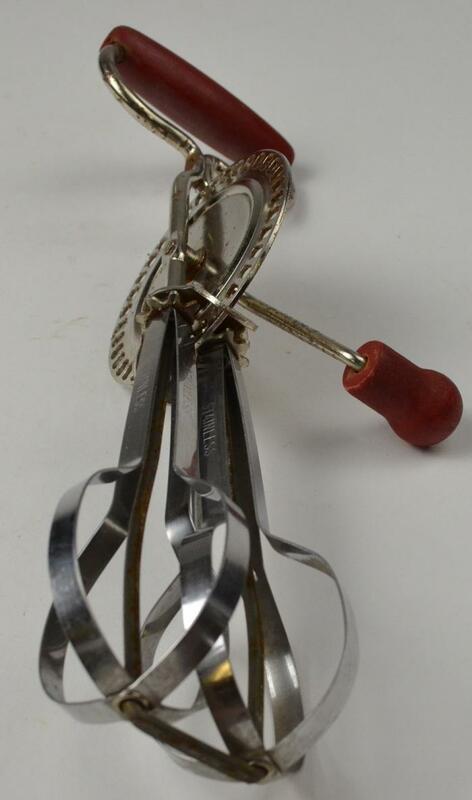 Before the electric mixers I would hand mix the batter for cakes, cookies and even egg whites for meringue cookies with a 'human-powered' hand mixer. If you've only seen these in 'antique' shops...keep it to yourself. Trying this now would end with a day off of work to recover. So, hearing this story made me very curious if this were true. Could my passion for baking have been passed down thru my DNA? The research on this particular story has been on my desk now for about 6 years. I have notes of conversations with family but I was determined to find proof. I can't even begin to add up just how many hours I've spent on this brick wall with no luck. Imagine my surprise when early (so early...like 2am) on a Sunday morning I came across a book named "Hemmingford, 200 Years of Hope and Challenge 1799-1999" sold thru the town's archives. 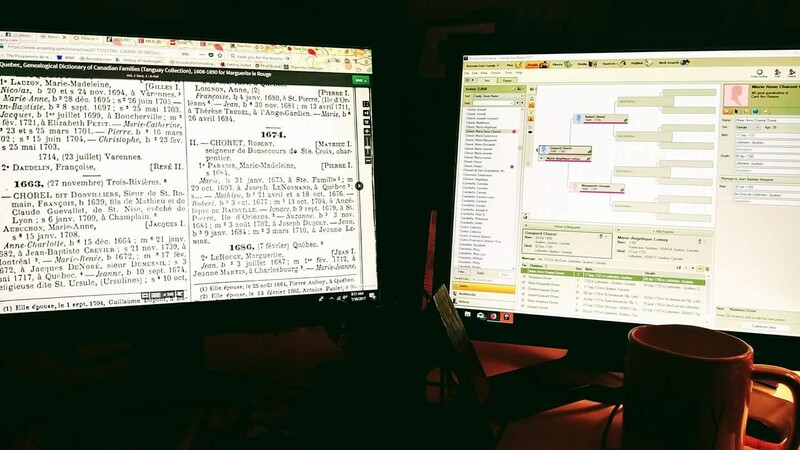 My heart raced as I found the online index and there was the name I hoped to find, Mr. Cote, my maternal great grandfather. No other details were given only a page number which was enough for me to place the order. Two weeks later, book in hand, I opened to page 48 and there he was Mr Cote, baker. My great -grandfather had purchased a building to open a bakery. Mystery solved, family lore proved. But right when I thought I could close the book (literally) on this I found Mr. LaPlante, my other maternal great grandfather, on the same page listed as ... a baker. This explained more than the baking mystery for me. I often wondered how the relationship between the Cote' and LaPlante families came about. Three children from each family had married on the same day, including my grandparents. Were they arranged marriages? It's a definite possibility. For now I've added it to the 'research needed' folder on my desk. Our families give us so many things that are unseen. These genetic likeness' that are passed down can be very strong, even generations away. 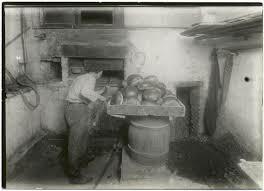 As I make my favorite scones this weekend, I'll think of these men making bread in cellar bakeries so many years ago and smile. This is a handwritten recipe I found in an old family cookbook. I'm not sure of the origins but like to think it was a family favorite since its become one in my home. Enjoy! Preheat the oven to 425°F with a rack in the middle. Lightly grease a baking sheet. Whisk together the flour, salt, baking powder, and sugar. Work the butter into the flour until the mixture is crumbly, with some of the butter remaining in larger pieces. Mix in the cheese, chives, and bacon until evenly distributed. Add 3/4 cup of the cream, stirring to combine. Try squeezing the dough together; if it won't stay together, add cream until it does. Transfer to the baking sheet. Pat the dough into a smooth 7" disk about 3/4" thick. Use a knife to cut the disk into 8 wedges, spreading the wedges apart a bit on the pan. Brush the scones with a bit of cream to help browning. Bake for 20 to 22 minutes, until they're golden brown. Remove them from the oven, and cool right on the pan. Serve warm or at room temperature.